HCO Specially designed to meet the horizontal cable management challenges of low, Medium & High density application. - Maximum utilization of warehouse's useful height. Possibility to store different diameters in height. Cable storage reel rack to hold specific storage needs of products such as wire and cable. Unique design makes the volume cable, cable roller will not fall off. Cable manager designed to match your personal preference. 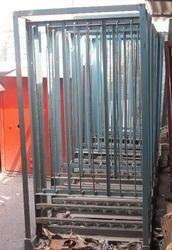 These Cable manager are available in various shapes including horizontal as well as vertical. - Adjustment of warehouse's available capacity. According to the types of reels, a relevant study is carried out. - Structure totally screwed on, detachable and 100% recoverable. We are the most trusted name amongst the topmost companies in this business, instrumental in presenting Vertical Cable Rack. We offer immaculately designed Cable Racks to our prestigious customers. 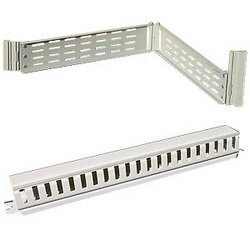 These Cable Racks are manufactured from high quality stainless steel, which is procured from well-known vendors. The hassle-free installation, steady performance and minimum maintenance make these Cable Racks highly demanded in the market. High Density Cable Management Racks storage system provides compacted efficient storage of palletized, bulky inventory. These are accurately welded in standard designs with proper shelves for easy cabling. Our products are supplied in various government, public and private sectors at exclusive range.